Of all the tree services we do, stump grinding is the one that most Placentia, CA residents are most appreciative for. If you have had a tree removed, then you understand that the stump that’s left on your property is unsightly and takes up precious space. Placentia Tree Service is the best stump grinding service in Placentia, CA and the surrounding areas. 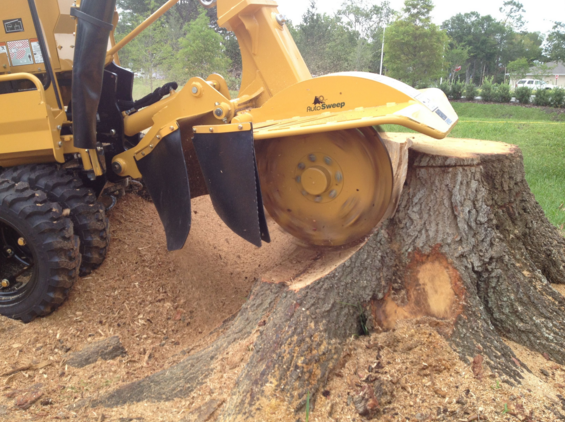 We are a full service, affordable tree care company, and we have the machinery to ground out your stump. When we complete stump grinding as part of your home remodeling project, or for your commercial property, the procedure is simple. Our stump grinding equipment makes pulling up your tree's roots quick and easy. The stump is gone for good, and the outdoor space is ready for repurposing. We give your property a flawless aesthetic appearance. Allow us to remove the old stumps and grind them up so they can be put to good use. At Placentia Tree Service, safety and your satisfaction are our main priorities. We are reliable and each stump grinding project gets done right from the beginning. With us, your tree stump problems are handled once and for all. We’ll grind your stump to pulp that can be utilized to enrich the growth of your outdoor space. It pleases many Placentia, CA residents that parts of the stumps that use to infuriate them essentially enhance the growth potential of their gardens. We are the top certified arborist for stump grinding in California, and we help customers remove ghastly stumps with our skilled craftsmanship. Our dependable stump grinding service grinds out all roots and extra wood pieces deep so another tree can be planted if you want it to be. Our tree maintenance service is what have made us the reputable business of first-class tree care in the industry. We get the work done fast and accurately. Our wealth of knowledge makes us the ideal selection for your stump grinding job. We can grind those surface roots you keep banging into with the lawn mower. After the stump grinding, we place the chips back into the holes to bring your outdoor area a tidy look. You can also utilize your stump chips for mulch or composting. We understand that tree stumps are a nuisance. We work with all the latest and advanced machinery the tree care industry has to provide. When the project is done, we leave your outdoor area looking brand new and ready for new planting. We give you a remarkable green space, minus any rotting stumps. By the time we are finished, you won’t even know the stumps was real. The machinery we run is explicitly designed to leave your outdoor area damage-free. We take pride in leaving your outdoor space in greater condition than when we first began. Put your stumps to good use with our stump grinding service! If you want to work with a Placentia stump grinding team who understand precisely what needs to be done, turn to Placentia Tree Service.